Traffic matters can range from a speeding ticket right up to very serious offences like dangerous driving occasioning death. 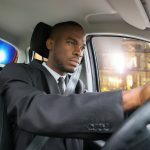 While many of us may have got caught by a red light or speed camera, when it comes to contesting a much more serious charge, getting a professional traffic lawyer really might be your best option. It all depends on what is at stake and may often come down to weighing the cost of legal fees against potential outcomes you face at trial. In more significant charges, where what is at stake could include your freedom, a large amount of money and a criminal conviction, it really might pay to hire an experienced lawyer to ensure you know all your options before trial and get the best possible outcome in court. Below are three common situations where you may be considering hiring a traffic lawyer. While many people will be able to sympathise with the lack of public transport NSW transport has to offer to your home at the end of a night, this is not a legal defence. 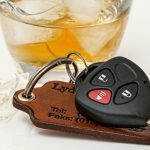 It might not seem very serious at the time you choose to get behind the wheel but driving after you’ve had one too many can have serious consequences, including a criminal record, a loss of licence, a fine, and even jail time if your BAC was mid range or higher and you are a repeat offender. Fortunately, with an experienced lawyer on your side, it is entirely possible to minimise the outcomes and make a huge difference when it comes time for the magistrate to decide your case. A lawyer will be able to point out all your options, including defences that you may not have known about. One advantage of Sydney Criminal Lawyers® is that we work closely with forensic experts who may be able to contest charges based on errors in blood tests. We regularly take-on and win drink driving cases, and in other cases get more serious charges such as high range drink driving downgraded to less serious charges like mid or low range drink driving. Alternatively, if pleading guilty, there are a number of steps that a good lawyer can take you through to ensure you have the best chance of avoiding a criminal record, jail time and other penalties. Our website contains further information on defences to drink driving as well as how choosing a lawyer to represent you can reduce the penalties for a guilty plea. 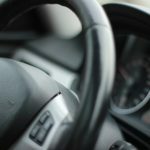 You might be charged with negligent driving when an accident occurs and the way you were driving was no sufficiently reckless or dangerous enough to press a more serious charge such as driving recklessly or dangerous driving. The penalties go up to a maximum $5,500 fine and 2 years in jail as well as an unlimited licence disqualification. Depending on how serious your offence is, you might have a lot to lose. If you are not confident that you know what to do, or order to ensure that you get the best possible outcomes, it may be best to hire a lawyer to deal with your negligence case. 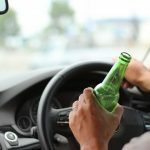 Click here to find out more about negligent driving. Protecting your licence and driving record can be really important, and speeding fines in NSW may result in a loss of licence if you go over your demerit points limit or speed by more that 30kp/h. In balancing up your need for representation with the costs of a lawyer, your final decision may depend on how severe your penalty is likely to be. If you are convinced that your penalty was too harsh, an expert in the field will know the rules that police have to follow as well as potential problems with speed cameras that could get the speeding charge withdrawn, or can appeal against the length of a suspension. Do you need a lawyer when pleading guilty to a traffic offence? Lawyers are not just for people who want to plead not guilty! Judges have a lot of discretion when it comes to handing down sentences, so even if you want to admit responsibility, an expert traffic lawyer will be able to fight for the lowest penalties and best possible outcomes for you. If you need a traffic lawyer, Sydney Criminal Lawyers® have the experience and expertise in all the above matters and more, having represented several thousand clients in traffic matters..
Another reason to choose Sydney Criminal Lawyers® for your case is that we offer fixed fees meaning you know right from the beginning how much your case will cost. There will be no need to worry about fees spiralling out of control, so all you will need to do is relax in the knowledge that you have the best people working on your case.